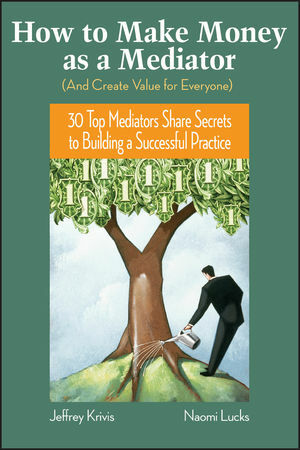 How to Make Money as a Mediator (and Create Value for Everyone) is an invaluable and inspirational resource filled with practical, proven, and down-to-earth information on how you can develop a satisfying and lucrative career as a mediator, no matter what your area of interest—labor and employment mediation, intellectual property, environment, personal injury, family and divorce, contract, securities, or international peacekeeping. 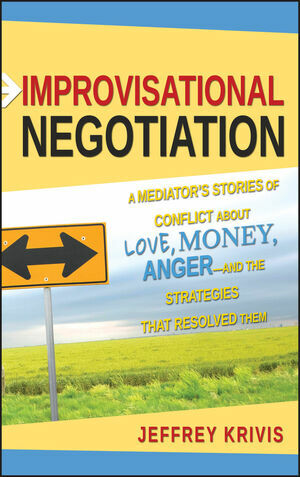 Jeffrey Krivis is the author of Improvisational Negotiation. He is an adjunct professor of law at the Straus Institute for Dispute Resolution and is on the board of visitors at Pepperdine Law School. He is the past president of the International Academy of Mediators and the Southern California Mediation Association and is named in Best Lawyers in America. The Los Angeles Daily Journal legal newspaper named him one of the "top 20 neutrals in the state," and he has been named every year since its inception on the "Super Lawyer" list published by Los Angeles magazine and Law & Politics Media. Naomi Lucks has enjoyed success as a writer, editor, and author coach for more than two decades. She is a founder of the award-winning Web site for new writers, www.YouCanWrite.com, and coauthor of You Can Write! 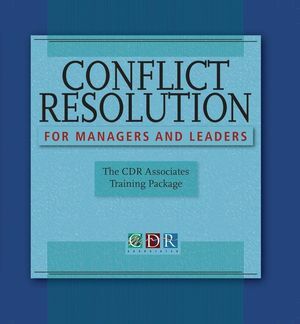 The Inside Scoop on Publishing Your Nonfiction Book.